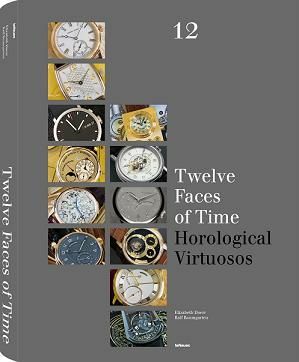 This coming Friday, watch journalist and author Elizabeth Doerr will be signing her 12 Faces Of Time book (a review can be found here) for those attending the SalonQP watch exhibition in London. Book Signing of 12 Faces of Time on Friday, November 12th at 6:30 pm. You can also visit/join the Panel Discussions with legendary watchmaker Peter Roberts, Prodigal Fool Andrew Carrier (www.theprodigalguide.com), freelance journalist Ken Kessler, watch journalist Elizabeth Doerr and QP editor-in-chief James Gurney (as chair) on Friday, November 12th at 5:30 – 6:15 pm and Saturday, November 13 1:30 – 2:15 pm.